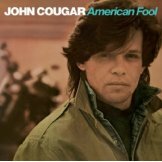 At some point in the 1980’s John Mellencamp sang a song entitled “Hurt so good”. I’ve often thought that this is one of those pointless, bizarre songs that echos in our heads because we hear it playing on Muzak and in elevators. Strangely enough, today I was contemplating the spiritual connotations of this song. I have read the lyrics to it and frankly have no idea as to what the song is about. I’m assuming it is about the pangs of sorrow that we have all felt in a love relationship but that love is worth taking the risk,however to the pure all things are pure and maybe it means something entirely different.I began to think about how in our lives we do absolutely everything that we can to avoid pain. There are prevention groups and clubs for every ailment and mental disease. I had a full time job as a “prevention specialist” and many others in the medical and mental health field hold this same title. Are we trying so hard to put ourselves into a bubble that we are missing out on valuable life experiences. Studies are now showing that our excessive use of anti-bacterial hand gel to prevent disease and infection has done nothing but breed strands of super bacterias that we have no anti-biotics to treat. Eventually we are all faced with situations in life that we would much rather avoid. Jesus Christ prayed for the cup to pass from him as the time was coming for him to die on the cross. However, just a few short scriptures later we find, “And they gave Him to drink wine mingled with myrrh: but He received it not.”— Mark 15:23 Jesus chose to not have anything to block the pain and suffering of the sins of the world that he felt via the nails in his hands in feet. He chose to feel every ounce of the misery and grief from both the physical pain and the emotional/spiritual pain of bearing our burdens. Previous PostWhat’s age got to do with it?Next PostCan you rely on God too much? Is religion really a crutch? You are a genius! I love how you explicated the lyrics to a cheesy eighties song and found such inspiration! I’m sure the artist himself didn’t even have such profound thoughts.You continue to inspire and entertain me on a daily basis! I love you!